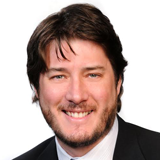 Pat Power, President & CEO. 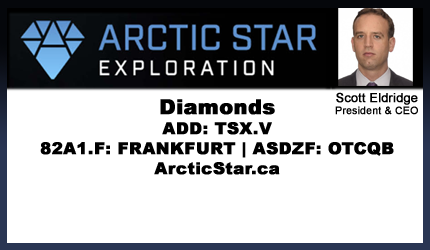 Arctic Star Exploration Corp. is a mineral exploration company that trades on the TSX Venture Exchange under the symbol ADD, the Frankfurt Exchange under the trading symbol 82A1, and the OTCQB under the symbol ASDZF. Arctic Star is operated by a team of mine-finders that have discovered major diamond deposits around the world with many of them becoming producing mines. Arctic Star hopes to repeat this success on its diamond exploration projects in Canada and Finland during exploration activity throughout 2018.